Cheyenne, Wyoming: The Cheyenne Business Leadership Network, an employment advocacy organization for people with disabilities, will host the 2010 BLN Symon Awards breakfast on September 23 from 7:30 am – 9:30 am, featuring guest speaker Spencer West. He’s on the “Me to We” speaking circuit, part of a socially-conscious Canadian entity. The 2010 BLN Symon Awards is scheduled to take place at Little America. Guest speaker Spencer West will speak on “The Power of We: Overcoming Obstacles to Make a Difference”, in which he’ll address issues the disability community faces, including bullying, discrimination, and stereotyping. Employees with disabilities as well as employers who provide jobs for those with challenges will be honored. The honors are named after the organization’s logo, which is made up of a person in a wheelchair carrying a briefcase. The guest speaker formerly lived in Rock Springs, and when he was five years old, he lost both his legs, according to the BLN Ability Link July 2010 newsletter. But he’s overcome his challenges, and to date, has spoken to over 20,000 students around the globe. Nominations for the 2010 BLN Symon Awards are being taken through September 10, and the honors will include Employer of the Year, Spirit of the Cheyenne BLN, Employee of the Year, and Outstanding Military Employee, the latter two for those with disabilities. Individuals and corporations may reserve tables by September 15 (Individual tickets are $25, corporate tables are $300). After September 15, prices go up. For more information about the Cheyenne Business Leadership Network 2010 BLN Symon Awards, go to this link here The website for the CBLN is here. You can also email the organization at wbln@vcn.com, or call 307-631-8012. Cheyenne, Wyoming: The July 4 tax tea party at the state capital (also known as the Cowboy Tea Party) brought out a few hundred locals of all ages during a partly to mostly cloudy and breezy afternoon to hear speeches and sign various petitions. This July 4 tax tea party in Cheyenne, Wyoming affirmed three major themes in speeches: the Constitution under attack by political leaders, God, and speaking English. 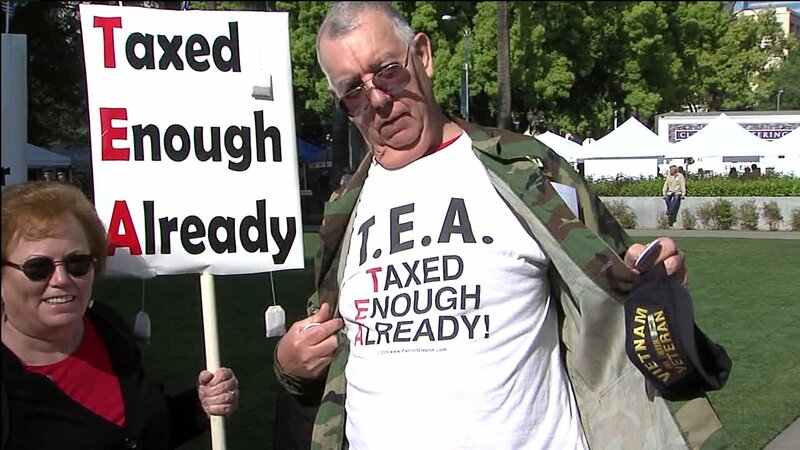 Here’s more about this July 4 tax tea party in Cheyenne, Wyoming. There were some interesting sayings on signs and t-shirts, including two t-shirts that stated “PROUD OWNER OF AIG amp; GM” and “PARTY LIKE IT’S 1773”. 1773 is when the Boston Tea Party took place. Many people wore red, white, and blue clothing and carried replicas of Revolutionary War era flags. After the singing of the National Anthem opened this event, a group of children from a local homeschooling group with the acronym of RECESS read from the preambles of all the 50 state constitutions (each child would take turns reading), which drew varying degrees of cheers from the crowd. It was incredible how many of these preambles mentioned God! Chris Heath, an organizer for this group, told me that about 30 of their kids participated, meaning that some read more than once. Another woman named Adriana Lone, who came over on a Fulbright Scholarship from the Republic of Moldova, spoke about oppression she faced in her country, saying that it was a crime to teach about God and how the Moldavian government controlled the mass media. She’s married to an American now, and got rousing applause when she told the crowd that she learned to speak English, another common staple of this July 4 tax tea party in Cheyenne, Wyoming, for after the conclusion of about two hours of speeches, one tent was set up where the following lyrics could be heard sung over and over: “English is the language of these United States”. Retired Las Vegas policeman Dave Freeman gave the most rousing speech at the July 4 tax tea party. Freeman is the National Liaison to Peace Officers in an organization called Oath Keepers, which is an organization made up of police, military personnel, and veterans who are committed to defending the constitution and getting the nation’s governments to return to Constitutional principles without the use of violence, according to their website. He quoted George Washington and Thomas Paine and told the crowd to “put on the whole armor of God (from the Bible’s Ephesians, Chapter 6)”. He made it clear to onlookers about what he thought of those who oppose him and like-minded people from restoring the Republic: “I think we’re going to whip the S.O.B.’s”. At the end of his presentation at the July 4 tax tea party in Cheyenne, Wyoming, he admonished the crowd (who chose to) to raise their right hands and take an oath to defend the Constitution. Most did. After the speeches, a number of tents were set up for the crowd regarding petition drives (for state sovereignty and family values issues) and July 4 food and drink concessions such as hot dogs and ice cream. One tent set up near the steps of the state capital was issuing out to the public a newspaper called the W.T.P. Herald Tribune, which states it’s the “Official voice from the central committee of Wyoming Tea Party, Inc.”, based in Cheyenne, Wyoming. At first, people had to pay $1 to get a copy, but then someone was going amongst the crowd during the later speeches and handed these papers out for free. Other tents had some lively discussions about personal freedoms and government intrusion, subjects discussed in the publication. Rain began to fall on this July 4 tax tea party in Cheyenne, Wyoming around 3 p.m., as people were gathered around and in the tents. Overall, I gauged the mood as generally more laid back than the first tea party that had been held earlier in the year on April 15, which you can read more about this Associated Content article. Visiting top Dude Ranches in Wyoming can prove to be the vacation of a lifetime for you, your significant other or your family. The food, the scenery, the opportunity to really get up close to nature will give your mind,heart and spirit real refreshment. You will find each ranch has its own specialty but all specialize in being very attractive to folks who long to play the part of the cowboy or cowgirl in the Old West. There are plenty of choices but this selection definitely includes some of the top Dude Ranches in Wyoming for you to consider. Bucking S Working Cattle and Guest Ranch Would you like to respond to the call to “discover your inner cowboy”? If you want to find cowboy style adventure that really includes participating in the daily activities of a working cattle ranch then you may want to take a look into the possibilities offered at the Bucking S. Working Cattle and Guest and Ranch in Hanna, Wyoming. You will find a cattle ranch at an elevation of about 6000 ft. where the nearest real town is some thirty miles away. That means you will have the golden opportunity to really live like the cowboys of the past. You will be welcomed to roam on horseback across mile of open cattle range and help wranglers as they go about the daily and seasonal tasks of the cattle ranch. You can participate in moving the herd from one grazing spot to another, riding and helping to mend fences, keeping an eye out for strays and all the while enjoying the magnificence of the country you are in. Still the Bucking S welcomes riders of all levels from beginners to the most experienced and children and teens can also fit nicely into the mix. The Bucking S only accommodates a dozen guests per week which means they can tailor their activities to meet the abilities and interests of the guests. Daily horseback riding may be offered in morning and afternoon rides, full day rides with a pack lunch or even overnight rides. Guests are also at liberty to simply enjoy relaxing and enjoying the scenery and other nearby activities like fishing and swimming. Bucking S recognizes that guests come here for many reasons and the staff does its best to meet your needs and expectations. Lazy L and B Ranch , Dubois, Wyoming In 1890 Scottish settlers moved onto land and built a homestead which just 30 years later in 1920 began to operate as a Dude Ranch and which today is the Lazy L and B Ranch. If you have ever had the pleasure of spending time in the Grand Teton’s or Yellowstone and wandered the area around Jackson Hole you will have a pretty good idea of the beauty of this country side. The Lazy L and B sits about an hour and half’s ride from the entrance to Grand Teton National Park and operates in part under special permission in the Shoshone National Forest. You can’t help but feel that you have been deposited in a whole different time and place. Flying A Ranch, Pinedale, Wyoming When someone offers something even better than a Jackson Hole vacation it tends to catch your eye. The Flying A Ranch offers that pledge and does all it can to deliver on it. The Flying A takes the view that you can enjoy the old west even better if you take out the “old ” part. As a result they have added all the modern amenities for lodging and dining that one might prefer to the old style cowboy decor. The results, well that’s really up to each persons individual taste but it is an interesting variation on a theme that definitely pleases a segment of the clientele that comes to the Jackson Hole area. Regardless of the amenities you will definitely find plenty of activities that will connect you to life in the west. First and foremost of course is the horseback riding which during any vacation week here is pretty much unlimited. Your riding will be through magnificent countryside and you will have opportunities to drink in the scenery and even catch a glimpse of wildlife. But there are activities beyond riding too. There is plenty of fishing for beginners and the well schooled. If you want to rest your backside a bit you may enjoy the many hiking areas that totally engulf the Flying A ranch. For those who want to put some time in with a rifle, trap shooting is also a popular Flying A Ranch. And when your western style day is done, there really are lots of people who would just as soon settle in behind a gourmet meal served with elegance and they can have their way at the Flying A Ranch. When the meal is finished they can retire to log cabins that will both accommodate your sleeping needs but also add the nice touch of a porch swing or a living room fireplace to the magic already offered by the setting. The economic impact that fishing and hunting has in Wyoming is easily seen in the U.S. Fish and Wildlife Service’s 2006 National Survey of Fishing, Hunting and Wildlife-associated report. This report states that in 2006, a total of 113,000 resident sportsmen in Wyoming spent $1.8 million a day for an annual total of $676 million. This amount of money definitely has an economic impact on the state of Wyoming as well as an impact on many lives. The 113,000 resident sportsmen in Wyoming were responsible for adding $236 million in salaries and wages. They also added $62 million in federal taxes as well as $75 million in state and local taxes. The money spent by these sportsmen in Wyoming also adds a ripple effect in the Wyoming economy of $916 million. How do Wyoming sportsmen rank amongst those of other states in relationship to the economic impact that they create? There were 113,000 resident sportsmen in the state of Wyoming and this puts Wyoming 46th in the nation for total resident sportsmen. This total number of resident sportsmen can further be broken down into resident anglers of which there were 96,000 and resident hunters, of which there were 50,000. These totals put Wyoming in 44th in the nation for resident anglers and 46th in the nation for resident hunters. The sportsmen who were both hunters and anglers were not counted twice in the total number of sportsmen for the state. There were also 107,000 non-resident anglers, which ranks Wyoming 29th in the nation and 52,000 non-resident hunters, which put Wyoming 46th in the nation. How does the $675 million spent by sportsmen in Wyoming break down? In 2006, fishing in Wyoming brought in $528 million and placed Wyoming 334th in the nation. Hunting during this year in Wyoming brought in $147 million and placed Wyoming 41st in the nation. The combination of money spent by both anglers and hunters placed Wyoming 34nd in the nation. Not only does spending done by the sportsmen in Wyoming add to the economy of the state, these sportsmen and their sports add jobs throughout the state. There were 9,500 jobs related to hunting and fishing in 2006, with 6,500 being fishing related jobs and 3,000 being hunting related jobs. This total of jobs related to hunting and fishing put Wyoming 38th in the nation, with fishing placing Wyoming 33rd in the nation and hunting placing Wyoming 39th in the nation. These figures and rankings, which accumulated from sportsmen in Wyoming spending a total of 580,000 days afield, which puts Wyoming 45th in the nation and 1.2 million days on the water, which puts Wyoming 48th in the nation, clearly shows the economic impact that fishing and hunting have in Wyoming. If you are a resident of Wyoming and want to make energy efficiency improvements in your home or install a solar energy system, there are financial incentives to help offset part of the cost. Wyoming offers grants to residents who install solar photovoltaic systems or photovoltaic hybrid systems, utility companies offer rebates on energy efficient water heaters and heat pumps, and residents who generate their own electricity can get credits on their electric bills through net metering. Wyoming’s Residential Photovoltaic Incentive Program, funded and administered by the Wyoming Business Council, provides grants of 50% of the cost of installing a solar photovoltaic or photovoltaic hybrid system, up to a maximum grant of $3,000. These systems can be on or off the grid. According to the Database of State Incentives for Renewables amp; Efficiency, the program is funded with $75,000 per year. Applications are accepted in June each year and grants are awarded to up to 25 projects. If more than 25 applications are received a random drawing is held to determine which applicants will receive grants. You can download the application form from the Wyoming Business Council website at www.wyomingbusiness.org under Business Assistance – State Energy Program – Residential Phtovoltaics. You will need to provide a copy of your invoice for the equipment, pictures of the installed system, and quarterly reports during the system’s first year of operation. If you install a solar, wind, hydroelectric, or biomass system at home that has a capacity of up to 25 kW and is connected to the grid, you can receive credit on your electric bill for the net excess electricity you generate. According to the Database of State Incentives for Renewables amp; Efficiency, the excess is credited to your next bill, and at the end of the 12-month billing cycle, the balance is purchased by the utility company in Wyoming at the avoided-cost rate. Two of Wyoming’s utility companies – Black Hills Power and Carbon Power amp; Light offer various rebates for energy efficient hot water heaters, heat pumps, and geothermal systems. If you are a customer of Black Hills Power, you can have a Demand Controller installed in your home and receive special low electric rates. A demand controller levels out your electricity usage over periods of high and low demand. You can receive free installation in an existing home up to a $300 value, or a cash rebate of $200 when you purchase a demand controller from Black Hills Power for installation in a new home. According to Black Hills Power, all types of permanently installed electric resistance heat installed along with a Demand Controller qualify for a rebate of $15 per kW up to a maximum rebate of $500 per customer. Black Hills Power also offers cash rebates to its customers for the purchase of energy efficient water heaters, heat pumps, and geothermal heating and cooling equipment. The rebate is $1.00 per tank gallon for electric water heaters with a minimum capacity of 30 gallons. If you also have a Demand Controller installed along with a new electric water heater you qualify for a $100 Water Heater Bonus. New generation electric heat pumps or geothermal systems with a Seasonal Energy Efficiency Rating (SEER) of 13.00 or higher qualify for a $150 rebate per ton. The maximum rebate is $600 for an air-source heat pump and $1,500 for a geothermal or water-source heat pump. To claim a rebate from Black Hills Power you should download the Energy Efficient Electric Equipment Rebate Form from their website at www.blackhillspower.com under Products amp; Services – Cash Rebates – Customer Rebate Program, clicking on the link How to Process a Rebate. Send the completed application with a copy of your receipt to Black Hills Power at the address indicated in the instructions. Carbon Power amp; Light collaborates with the Tri-State Generation and Transmission Association to offer rebates on water heaters, and electric and geothermal heat pumps. Tri-State provides a standard rebate of $50 on energy efficient water heaters, and Carbon Power amp; Light supplements that with an additional rebate of from $1.50 to $3.00 per gallon, depending on the type of water heater. Central, air-source heat pumps with electric resistance backup qualify for a rebate of $125 per ton of heating capacity, with no maximum. Central, air-source heat pumps with electric thermal storage or non-electric backup, and ground-source or water-source heat pumps are eligible for a rebate of $150 per ton of heating capacity, with no maximum. Electric motors of from 10 to 200 HP are eligible for a combined rebate from Carbon Power amp; Light and the Tri-State Generation and Transmission Association that ranges from $8 to $13 per HP, depending on the type and efficiency of the motor. To claim a rebate from Carbon Power amp; Light, you will need to present a copy of your receipt, and sign an Inspection and Qualification Report, which must also be signed by an authorized employee, and the Carbon Power amp; Light Manager. A pre-inspection of your existing unit may be required before you replace it, and an inspection will need to be done of the new installation. Whether you are buying Jackson Hole Wyoming real estate for the first time, or you are a seasoned investor looking over Jackson hole properties, you’ll find that locally-based Jackson hole realtors can be of great help. These professionals know all the details the the local real estate market and can help you in finding the best Jackson Hole Wyoming real estate deals. Of course, the first thing you’ll want to do – after establishing a relationship with a Jackson hole realty company, of course – is to find a number of Jackson Hole properties that interest you. This is where Jackson Hole realtors are worth their weight in gold. They will sit down with you and discuss just what it is that you are seeking in terms of a home or investment property. This will help them to narrow down the choices, thus making the most effective use of your valuable time. Next, the Jackson Hole realty professional will arrange for you to visit those properties that you are serious about buying – and they have been there beforehand. This process will allow you to see firsthand if a given home or property is something that you would like to make an offer on. It is not uncommon for buyers to change their minds about something once they have seen these properties up close. This is no problem; Jackson Hole realtors are prepared to follow your instructions should your criteria change. When you find a property on which you want to make an offer, your Jackson Hole realty agent will enter into negotiations so that you and the seller can agree upon a price. This part of the process usually takes some time, but if the seller is motivated, such negotiations can go quickly. 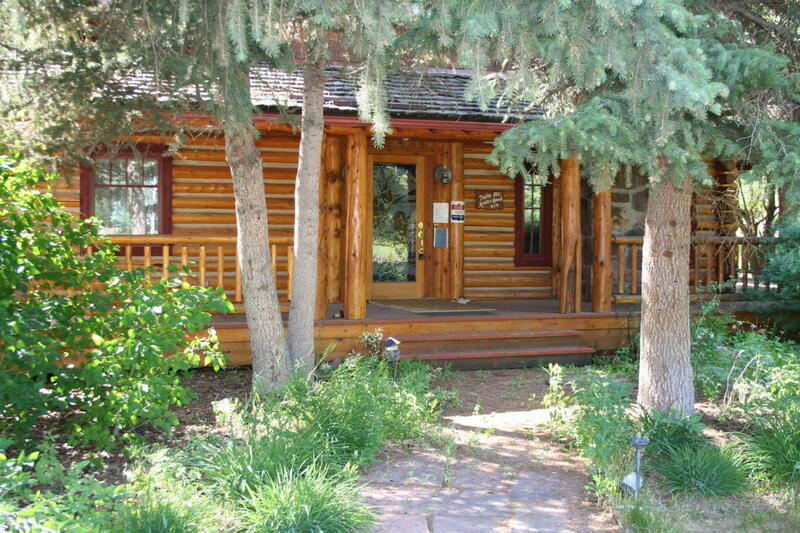 Once you and the seller agree on the selling price, Jackson Hole realtors will walk you through the transfer process. In some cases, a Jackson Hole realty company can also arrange financing. In any event, your realtor will arrange for property inspections, any necessary repairs that have been agreed upon, and help guide you through the paperwork that must be completed. You can see why, when you are in the market for Jackson Hole Wyoming real estate, it’s a good idea to have a locally-based Jackson Hole realty professional on your side. Creating a business based on what you love to do is fun but hard. It can also be scary. Nothing good comes easy. When you want to work for yourself, you have to make sure you’re not trying to do it for the wrong reasons. You may have talent and a great imagination but there’s a reason why the term “starving artist” exists. Art business is probably not the best route to take if you’re looking to get rich. Place your art into the hands of a trust here. 1. Passion – If you don’t love what you do, you can’t expect to do it for long. Money in business is important, of course, but it’s not everything. Think of what makes you happy and devote a lot of time working on your art. A lot. If you can’t see yourself doing this nearly all day, everyday, for several years or forever, maybe it’s not a good fit. You can do anything you put your mind to, just not for long if your heart’s not in it, too. 2. Hard work – Everything you do has to have a purpose. Think long-term. It’s one thing to buy a business and generate sales from that. But when you start out with almost nothing, no money to invest, you can only depend on your own hard work. You might consider taking a business managing class or going to an art school. If you can’t afford either one, your best route is learning through books and the Internet . It will require hours upon hours (upon weeks, upon months) of research on your market, supplies and materials, and business and tax license information. And of course, time and labor devoted to your art to create your inventory of paintings, photographs, sculptures, or jewelry. 3. Luck – Even if today’s most successful artists have worked themselves insane to get where they are today, luck still played a part in their success. Every art medium and style has a market. You can’t predict when a person with certain tastes may happen to notice your work and simply adore it and buy it right there on the spot. Sometimes all it takes is being at the right place, at the right time. Imagine this: Your gallery show is ending today and you will be taking your work down at the end of the day. A woman is visiting her parents for a couple days. She’s never heard of you, but she’s an art collector and has always loved the work of local artists in her home town. She needs to run some errands and plans to stop at the gallery later. But not today. Tomorrow, when she’s not busy. But your work won’t be displayed tomorrow because it’s another artist’s turn! I’m not saying you’ve completely missed out on a sale. You don’t know if you did. We don’t know if this woman would have bought anything, or if she’d even like your art. As far as you’re concerned, you have no idea of her existence. Also imagine if she decided to skip a few errands and visit the gallery instead. Then as she’s purchasing one of your pieces, she shares with the curator that she wasn’t planning on stopping by until the next day. I’m just saying that we have no way of knowing these kind of chances but things like that happen all the time. Actually, there’s one more important thing. It’s so important that it should be common sense. Every business is based around.. what? 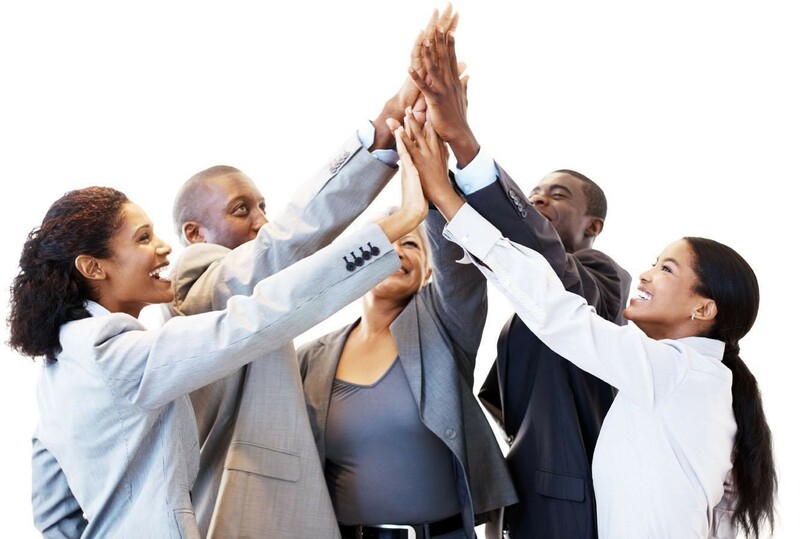 Working for yourself is a learning experience that never ends due to constant changes in the people you work with, the market, and the environment. Accept that nothing is guaranteed and all you can do is try. If this is what you really want to do and never try, you’ll just end up wondering what could have been. Especially when you begin to plan your art estate. When you do what you love, you already have your reward. Learn about forming an asset protection trust for your art.